Dr. Sandak comes from a family of dentists. His father is a retired White Plains restorative dentist and his sister is a general dentist in Armonk. 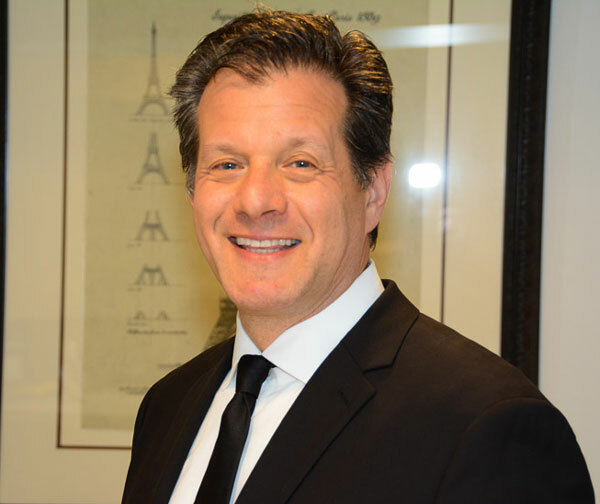 David grew up in Rye, NY, attended Colgate University and then received his dental degree from SUNY at Stony Brook Dental School. After graduating from dental school he trained at Boston University, School of Dental Medicine and received his Certificate of Advanced General Studies in Periodontology. He has limited his practice to Periodontics and Implant Dentistry since graduating in 1993. He has been trained by the finest practitioners in Periodontics and has vast experience in treating all phases of surgical and non-surgical periodontal therapy, including periodontal plastic surgery, all phases of implant dentistry including immediate implants with “teeth-in-an-hour, laser dentistry, ridge and sinus augmentation, sleep apnea treatment, and dental extractions. Dr. Sandak is passionate about his profession and his close relationship with his patients. In his pursuit for excellence and continued improvement of patient care he has embraced the best technology available to dentistry. Ours was the first office in Westchester to own a cone-beam CT scan for improved diagnostics and surgically-guided implant placement. Dr. Sandak employs the latest laser dental technology from BioLase. His group is the very first dental office to own and utilize a Bego 3-D printer for the fabrication of cad-cam surgical guides and immediate dental implant provisional crowns. His excitement for excellence in surgery and his willingness to learn and teach these skills to his fellow dentists truly sets him apart as a special Periodontist. Dr. Sandak lives in Weston, CT with his three children and his wife Amy. He enjoys skiing, snowboarding, biking, racing cars, and back-yard barbecues.